The next Seiken Densetsu game is on the way. 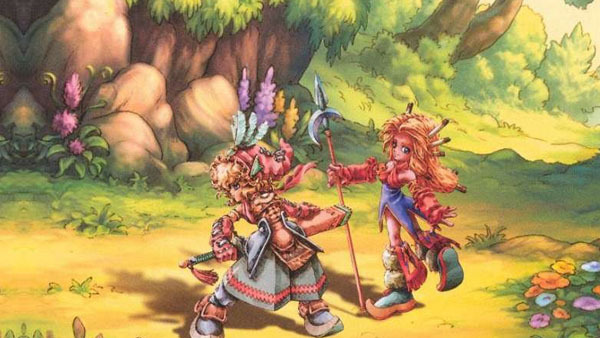 Seiken Densetsu: Rise of Mana is in development for iOS and Android, Square Enix revealed in this week’s Famitsu. The game will be free-to-play with micro-transactions for items. The hero is an angel and devil absorbed into a single body, who fell to the ground from the heavens. A new system will allow you to switch between angel and demon as necessary during gameplay. The game supports up to eight players in multiplayer. The game’s base is a town called “Miste,” where you can buy items and weapons, make use of support services, and train your demon pet. Your base weapons are the sword, spear, and bow.